Are you looking to take the next step in your nursing career, try the online RN to BSN program. Previous Post: Muslim-Owned Restaurant Offers The True Spirit of Christmas. Next Post: Why I’m raising soft kids. Nurses and other hospital staff (and first responders) are some of the finest people on Earth. I am in complete awe and gratitude toward them. As I type this, I am sitting in my 87-year-old mom’s ICU room. We thought she was almost gone a couple of times in the last week. The nurses and other staff have been incredibly kind, communicative, patient, organized, and calm. At 2:15 a.m. yesterday, she had a crisis while I was staying overnight. It was frightening. They made sure I was taken care of. What a lonely feeling as they work on your loved one in the middle of the night. THANK YOU to all medical staff. I have also been a patient, and I get a lump in my throat thinking about the care I received. Many times when I thank one of them, they say it is just their job. No, it is a gift and a noble calling. You are angels to me and my family. So nice. It’s wonderful that someone took the time to write this. I think it’s a letter we should all read and memorize. 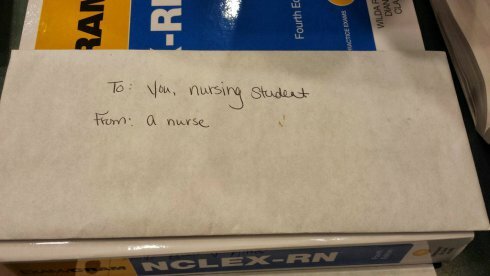 As a nurse who was once new and has since oriented many new nurses, this warmed my heart so much! Thank you to whoever wrote that letter and for reposting it. As I am just starting my nursing degree it’s so great to see this letter and support from a registered nurse as I have been spooked by some of the mentor stories from other student nurses a few years ahead of me. 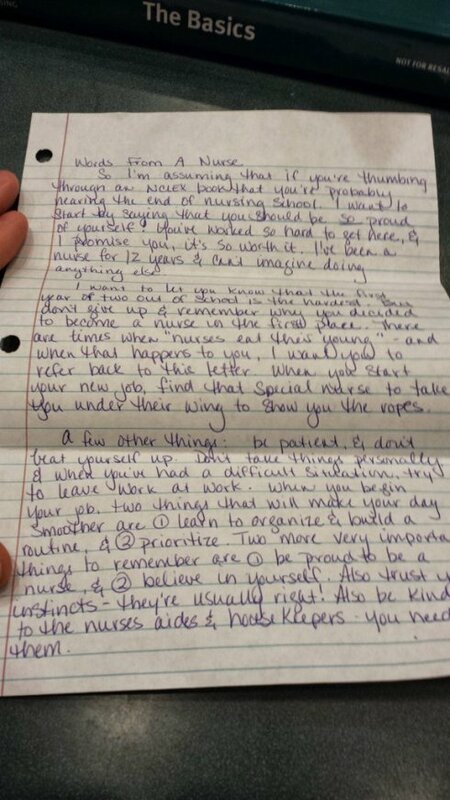 Hoping I get a mentor like the nurse who wrote this letter. 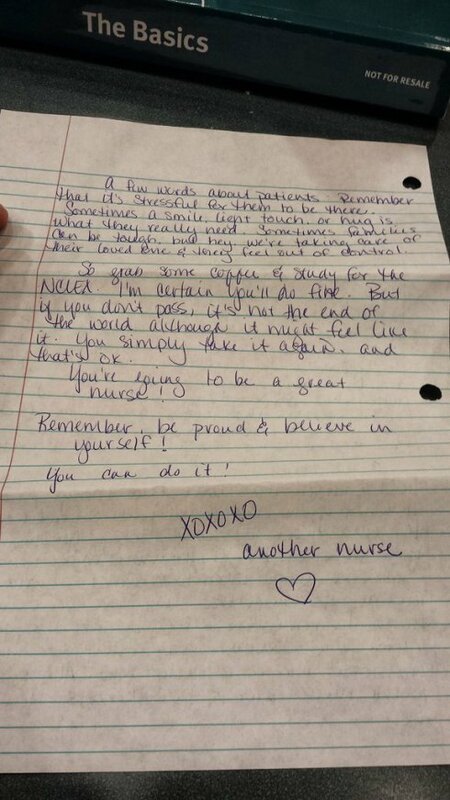 I’m about to start nursing school this fall and it was amazing to see that letter. It made me even more excited about my future career. I almost cried while reading this. I am in nursing school now. This is beautiful.